Continuing their unshakable habit of starting tournaments poorly, the Bears struggled during Monday’s first day of play. Despite the difficult start to the tournament, the Bears showed promise in their ability to rally together and climb up the leaderboard. The Silverado Showdown tournament will be a great opportunity to get that final push of hurrah before the finale at the Pac-12 Tournament. An undeniable boost to team morale, Cal’s success at the Gunrock Classic was much-needed. Going into the tournament as the top-ranked team, the Bears fulfilled their expectations while dissipating any lingering feelings of disappointment from the Bruin Wave Invitational, where they finished 10th out of 15 teams. The team finished shooting 22 over par, a season low thus far in the fall. The Bears’ ninth-place finish was also a season low for the squad, as they managed to place eighth and fourth in their previous events. 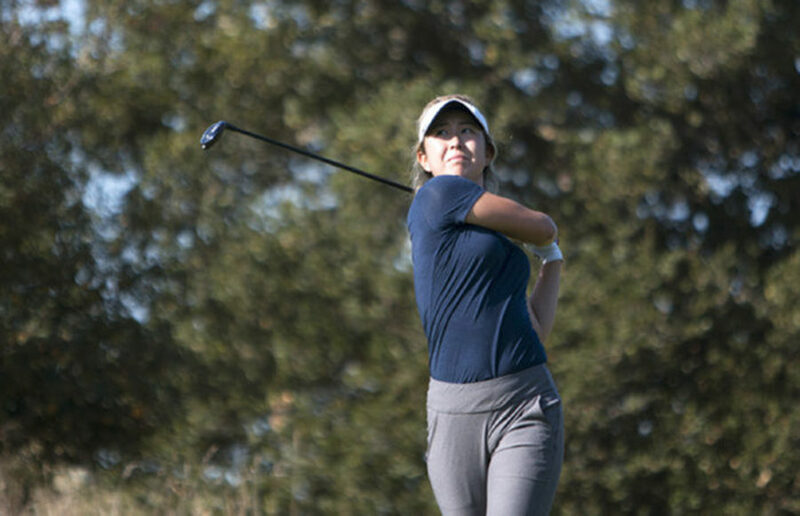 Just days after its close victory in the inaugural Big Match against Stanford, Cal women’s golf participated in a more traditional tournament from Sept. 24-25. The Coeur D’Alene Resort Collegiate Invitational, hosted by Gonzaga, featured 18 teams, including Pac-12 opponent Washington State. The inaugural Big Match was a four-ball contest played at Menlo Country Club. Cal sent six pairs, each with a representative from the men’s and women’s teams (with the exception of one pair in which both members were from the women’s team) to compete against six Stanford pairs. This unique event paired players from both the women’s and men’s teams to compete in a four-ball style tournament with six different matches. Oh captured the first top-10 finish of her collegiate career, entering Tuesday at five under after a taxing 36 holes the day before.